Pool is one of many possible games in Rio you can play. Hustling at Clube do Taco in Copacabana. 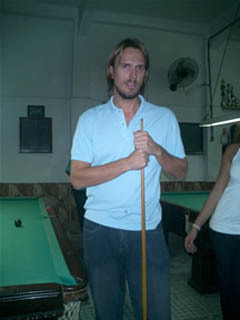 To play pool in Rio de Janeiro is common, (here they call it sinuca). The game grew popular here in the beginning of the 20th century and reached its peak during the 1950´s and the early 1960’s. Back then so many people played it was common to get a haircut and do your manicure by the table waiting for your turn. The popularity has faded but it’s still one of the favorite pastimes for the Cariocas. There are generally two types of tables: Smaller ones where you insert tokens and play with two colours (4 of each) and bigger tables where it’s common to play with a snooker set minus the 15 red. Most of the time they have sets of numbered balls for the biggger tables as well. There are many places to play, I have listed some of them here. What is fun is that they have such different characters; you have the typical western pool halls but as well the traditional Brazilian and there is also the places with music directed towards a younger crowd, pool in Rio can be fun! 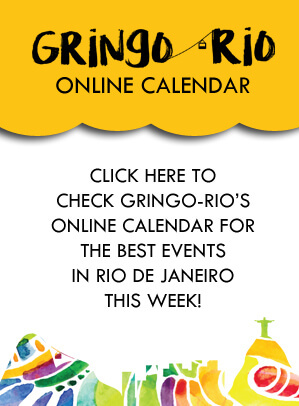 Pool in Rio – Where to Play? Clube do Taco R. Barata Ribeiro 655, Copacabana map, phone 2255-4934, Mon-Sat 13h/3h Sun 16h/2h. Good big tables, like a western pool hall, they also have the full snooker set although the tables are a few feet smaller. It’s a bit more expensive then the others but the standard of the tables and cues is a lot better, if you are more serious about the game, this is the place. Botecotaco R. Humaitá 122, Botafogo map, phone 2539-5109, Tue-Sat 24h Sun, Mon 7h/h. 6 pool tables, jukebox. Bilhares Guarany, on of the oldest pool halls in Rio. Sinuca da Bambina R. Bambina 141, Botafogo map. Hip Hop, small tables. Bola de Cristal R. Ministro Tavares Lira 116 and 105, Flamengo map, phone 2265-9696. Bilhares Guanabara R. Pedro I 7, Centro map (Praça Tiradentes), 16 good tables, cool location. 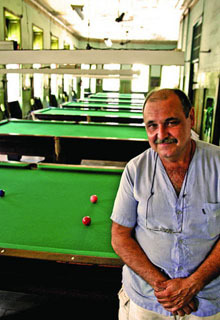 One of the traditional pool halls of Rio. Bilhares Guarany Praça Tiradentes 87, Centro map, 111 years, 8 tables, the newest is 60 years old, nice ambience. Together with Bilhares Guanabara the oldest place for pool in Rio. 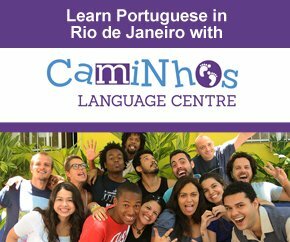 There are a lot more places for pool in Rio than what I have listed here, if you have any good suggestions just let me know and I will put it in.